STUNNING OCEAN & SUNSET VIEWS! STEPS TO WAIKIKI BEACH. Walking distance to parks, shopping mall, restaurants, shops, buses, rental cars, parks & Waikiki night life. Parking available. No smoking room. Clean and fresh remodel. 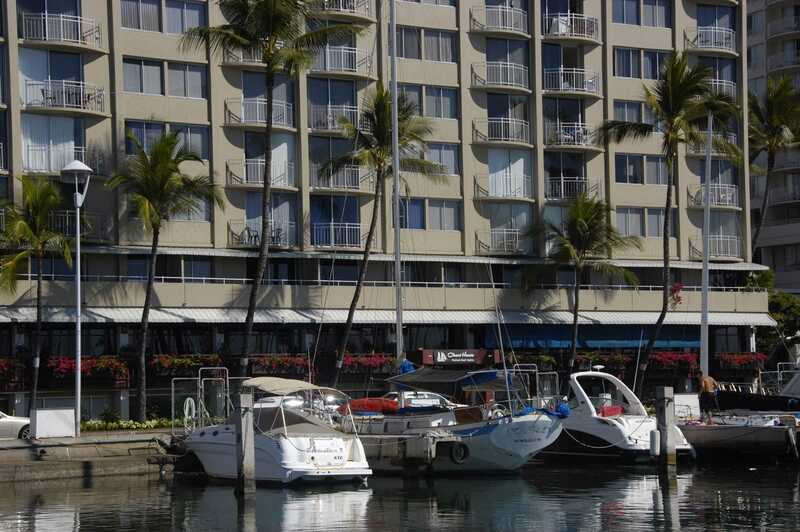 The Ilikai Marina is located at the gateway to Waikiki. Remodeled, 650 sq.ft., Tastefully Furnished & Appointed. WIFI, cable & flat screen, a.c., long distance, security, included. Available at nightly and monthly rates. Taxes and cleanings extra. WFI included. Parking available $23 per day, 115 per month, make arrangements with ProPark. No Smoking Room. SMOKING IS NOT ALLOWED in our condos or lanais and will result in loss of the security deposit.There are minimum stay requirements from January though March. Very nice condo great location. We spent 11 nights here, the apartment was very well equipped and clean. The views of the marina are stunning. There was plenty of seating and storage, the kitchen is very well equipped if you want to cook and enjoy a break from eating out. We like the location as it is close to the lagoon which we prefer to the beach. We really enjoyed our stay and would definitely book again. Thank you! A short skip to the Hilton Hawaiian village and all its amenities at more than half the price. Another skip in the other direction and all of ala moana and the beach park are at your finger tips. All the best food in walking distance. Great view of the fireworks and pleasant sunsets. The unit was spacious and easy to access with beautiful natural light. Only negative I could throw out is that it can be pretty noisy at night with the bar below, but unless you stay at a mega overpriced hotel tower you can't avoid that. Our stay was wonderful. The view was great and the location was a close walk to the beach. However, the coffee maker didn't work and the king sized bed was extremely uncomfortable. Location is excellent, with a great view of ocean and Wakaki Beach. The room lay out is very good. The bed was very comfortable and a wide range of TV channels. AC worked well. Kitchen is rather well stocked with utensils. Only real complaint is that it took a long time to get hot water and then not very hot. Must come from a long distance. As to location the bus stops are close, the major mall is a short distance and the fireworks on Friday night is right out the window. The Lani is quite small, but available. Overall we were very pleased with the location and would stay there again. We enjoyed 484 Good housekeeping & great location, although it can get a little noisy at night from the restaurants down below. But all in all we found the experience better than being in a high-rise hotel, both convenience & price. This is a great condo, very clean, well appointed with everything you need. 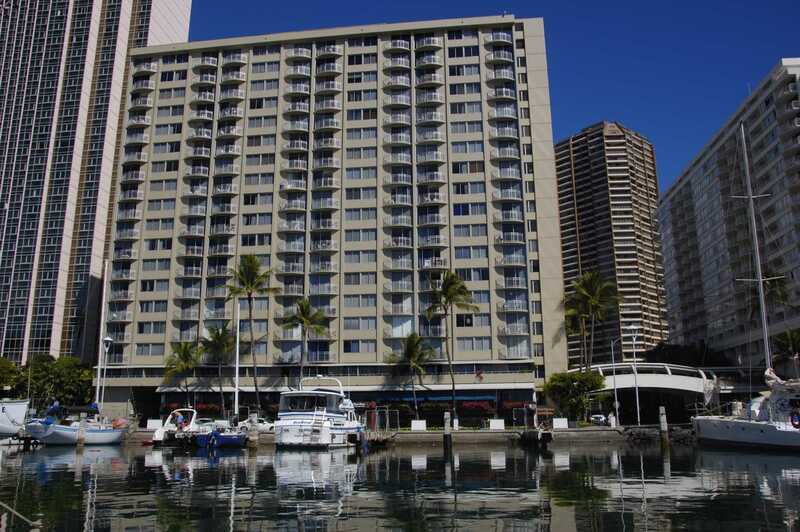 Wonderful location just west of the Waikiki crowds, marina, ocean, and lagoon views. Only about 10 minute walk to Ala Moana shopping center, Walmart and Sams Club.Just steps to reasonable restaurants, Chart House, Red Lobster, Outback Steak House, and lovely pub downstairs, Harbor Pub which also has great food.We have stayed in this area for many years, just love the area and, will come back again.Had 1 minor set back, power went out one day and a little scary as we we in the elevator but managed to get out.Mahalo to Kat and the security guys, they do a great job for the Iliaki Marina condo building. We liked the location of this condo as it was close to the bus route, and was not far from the beach.The view is nice and the condo is well appointed, so everything is there to make your stay enjoyable.Only a couple of minor dislikes.Firstly, there is no pool.Secondly, although the lounge furniture looks nice, it is not really that comfortable to sit in.Would recommend this apartment to others - no problem. My 13 year old daughter and I stayed for a week in August. The room was very comfortable. Your close to everything one needs. We walked most everywhere. 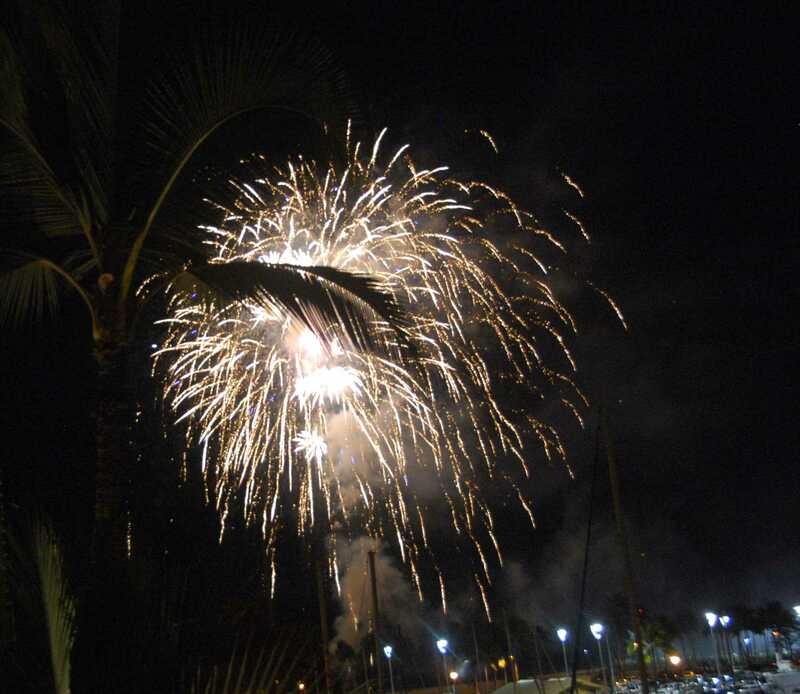 The views and fireworks were very beautiful. The staff and security were helpful and friendly,.The room had boggie boards, chairs, coolers and beach towels.there was more to see snorkeling by the ilikai than there was on our expensive snorkeling trip. There is a lagoon a short walk, 5 minutes from the ilikai condos. Or you can swim in the ocean. Many large turtles swam around us. The hilton offers paddle boards ect. For 48 an hour, however we found a paddle board shop around the corner for 18 an hour. We liked the seafood truck down by the beach, and it was reasonably priced. We liked the pizza, from the restaurant located at the ilikai. Ithe room exceeded my expectations. We loved it, and we cant wait to return. 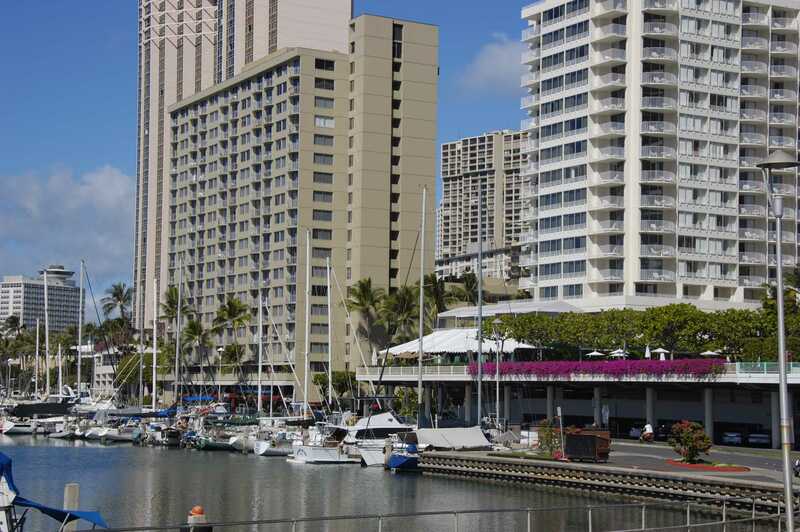 This was our 3rd time within the past 4 years that we have stayed at Ilikai Marina Condos but our 1st time in unit 484 because the previous unit that we tried to book was not available during the time of our stay. We loved unit 484 because it was comfortable, clean, updated, warm and inviting. This unit had everything we needed from kitchen items, beach needs, space, bedding and towels. I especially loved the Hawaiian decor and the magnificent view! Mahalo for an amazing vacation & hope to stay in this unit again in the future. Aloha! This is a great place to stay when in Honolulu! Beautiful views and very central. Clean and well equipped. Overall just like described in the ad. This was my second stay in unit 484. I come frequently to visit my son, who lives on a sailboat in the harbor with his wife and my grandbaby. I can see their boat from the unit, and it's an easy walk back-and-forth. Very convenient to the beach, food pantry, the harbor pub is just below. 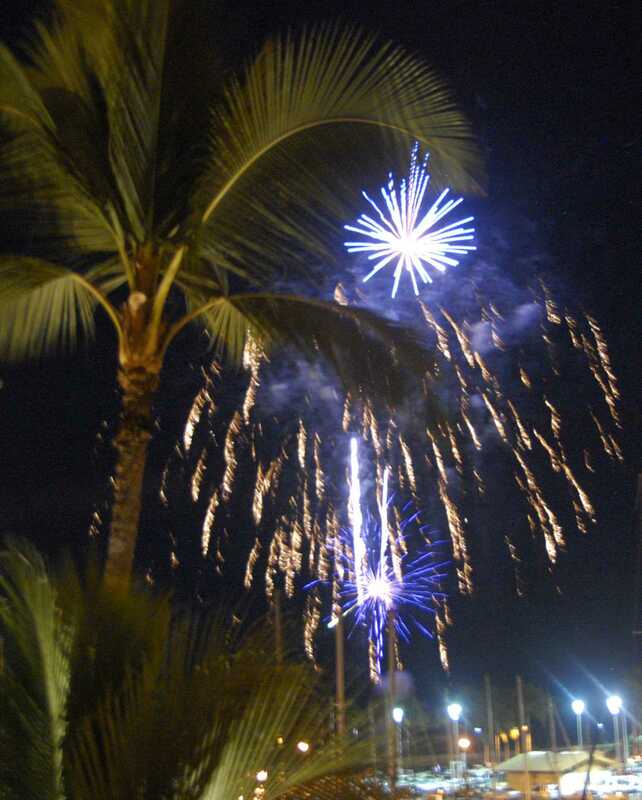 Comfortable beachy furnishings, clean unit with quiet, efficient AC and beautiful harbor view and Friday night fireworks. I appreciate the comfortable beach chairs. Thank you for getting a new toilet! This condo is extremely well appointed and quite comfortable. It has a wonderful view of the marina and the ocean at a distance, and it has just about everything one might hope for in a home away from home, including a comfortable bed, excellent selection of kitchen appliances, and good air conditioning. The only negative is that, late at night, we could hear some noise from the Pub at the street level below. The location was within easy walking distance to the mall, Waikiki beach, and most stores. We would definitely stay here again and will recommend it to others. This condo was very clean and well appointed. Faced the Marina and the Beach to the left. We were very comfortable and was close to Waikiki Beach. The only negative point was that the cabinets were to high to comfortably reach glasses and dinnerware. A step ladder was provided. Would I rent this unit again? Yes. L'emplacement est tres bien pour le paysage. Nous avions une vue sur la marina ainsi que la plage. De plus, notre emplacement etait pret de tous les service. Qualite prix, cela fut tres bien. Le condo etait propre et il etait bien equipe. Nous avons du mettre a l'epreuve le service a la clientele pour un probleme avec la toilette. Je n'ai que de bon mots a leur donner car le service fut rapide et efficace. Sending more business your way! We enjoyed our stay and looking forward to my next stay. It was an excellent Condo, with a great location with a wonderful view of the Marina. Just about everything we wanted and hoped for in a home away from home. A very comfortable bed, AC was great, but hard to control and some street noise from the Pub at street level below late at night. The location was within walking distance to the mall, Waikiki beach and most stores. I would definitely stay there again and have recommended friends to check out HVP. Mahola for everything ! Property was lovely and very clean. Location great and parking very easy. I was recovering from surgery and really appreciated the ease of access. Liked having the beach towels, mats, chairs etc. Bed very very comfortable and I liked having many pillows. Good apartment for tall people, unfortunately we are not tall people. I could not reach any of the dishes on the second shelf or in the back of the shelf without the step ladder. Glad the step ladder was there and it is a must have. Apartment is dark. A floor lamp or two in the living room would be good. Not a deal breaker just a suggestion. Had trouble with the AC. Would have liked to turn it off but we are compliant people and followed instructions not to turn off the ac. We couldn't get the temp quite right. Very glad the apartment was available. Overall we were very comfortable and delighted with our stay. Our stay at the Illikai. Marina was wonderful - it was clean/ well furnished / air conditioned with all the kitchen utensils you woul need for a beaut stay . The decor was lovely with a tropical feel and it was great to be able to walk over the bridge to the hotel and use the swimming pool. The Manager for the Illikai Marina was an absolute gem to deal with and very understanding and helpful when we had a crisis. Can't thank them or recommend them highly enough. it was also within easy walking to the Ala Moana shopping centre. As we are in our 70th for us it was a lovely, comfortable and very enjoyable holiday and should we be able to come again they will be the first we will contact. We enjoyed our stay and prefer this unit to others we have had. Thank you , will request this one again next April. The view is perfect.....our son has a boat right out in front. Aloha until next year ! Appreciated the updates. My husband and I stayed March 13th to 18th in condo #484. Instructions for entry and parking were clear and easy to follow. Entry with Key pad meant no keys to worry about losing or misplacing. The condo was well equipped and clean, everything was well represented in the pictures shown and was larger than I expected. The kitchen had everything we needed to cook all meals but there were restaurants very close when we didn't want to cook. The bed was large and the AC worked well for us. We enjoyed the Marina View and the small lanai. The condo is well equipped and the actual bedroom is a plus, fantastic dressing area, roomy bathtroom. The large flat screen tv was a plus but how much tv do you watch your in Hawaii. I will definitely use this condo again as I visit my daughter who attends the university at least every couple months. The parking garage and convenience to the unit is also an added bonus. Its also walking distance to everywhere, the beach is right there. Can highly recommend the apartment we stayed in at Ilika Marina.our apartment was at the front facing the marina. Great location and easy access to everything. Would definetely stay there again. They had everything you needed and more. Ilikai Marina unit 484. The view was wonderful, only one little down fall, traffic noise below. Yet, this would not stop us from staying there again. The condo had everything you need and more. We appreciated being in the heart of the city of Honolulu. We also appreciated being able to walk everywhere. Even though we rented a vehicle, it was parked most days. Had a great vacay for a week in this unit while on Oahu. Great view of the ocean and Marina! Easy walking distinct to Waikiki beach and amenities. This unit was really well equipped with beach chairs, coolers, Boogy boards, etc. Nicely renovated, great kitchen. All in all happy memories! Our family of 4 were pleasantly surprised with how comfortable & nicely decorated the suite was. Conveniently located close to the beach & walking distance to many retail stores. Everything is there for you to cook, as well! Would definitely recommend this place to others! On our first trip to Hawaii, we were very lucky to have found Ilikai. Our apartment was very tastefully furnished, very clean, a great kitchen, and an unbeatable view on the marina. We dream about returning to Oahu and renting this apartment again. Thank you for making it so comfortable. Aloha! Prefect location, great view of the harbor, very clean and exactly as shown in the pictures. This condo had everything you need and more for our week vacation (Jan 26 to Feb 2, 2015) in Honolulu. We plan on going back again in the near future. This condo was beyond perfect! We all loved our stay. Everything was provided. If you forgot it they had it! The view was B-E-A-U-TIFUL, I could just stand on the balcony staring at that sunrise forever. This condo was the true definition of paradise. & everything the pictures showed. Will definitely stay here again! Very nice and well maintained accommodations. Vacation in Luxury. The property was behind expectations. We were very comfortable, and had alot of space. The beach stuff was a huge plus. My son loved the boogie board, and soo greatful for the sand mats and cooler. Very pleased that the stay checked in with us to make sure we were taken care of and that we had no issues. Great condo. Very quiet but close enough to be able to walk into the centre of Waikiki. Clean and very well equipped. Beach stuff and full kitchen. Great views over the marina and of the Hilton fireworks from the balcony.